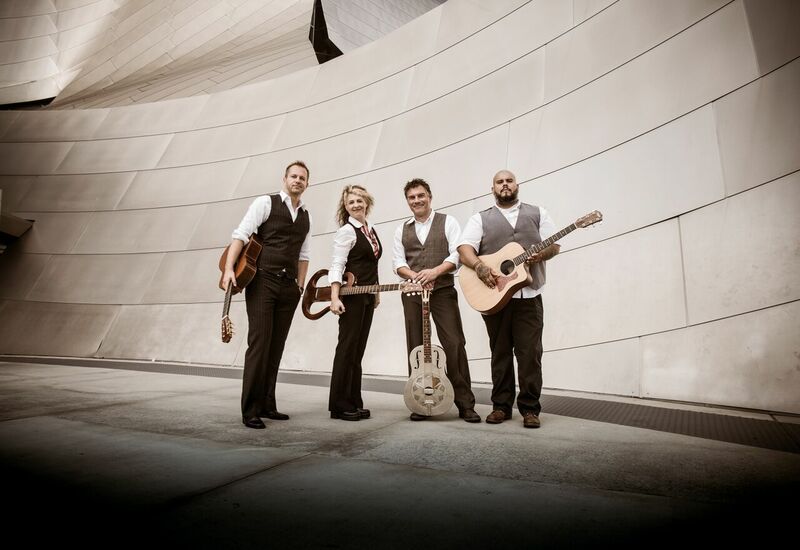 Based in Los Angeles, California, The String Revolution is comprised of four professional guitar players who are not only stellar guitarists, but also create distinctive sounds with their guitars: mimicking percussion, special effects, melodic grooves, bass lines, and more. 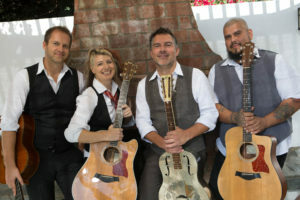 Their knowledge of a wide range of musical styles, guitar techniques, and a clear dedication and passion for the project brought The String Revolution together. These musicians are at the top of their game, embarking on a debut recording followed by worldwide touring. Their shows include original compositions as well as memorable covers arranged in fresh and surprising ways. With entertaining guitar chops, exceptional musicianship and an international background, The String Revolution is no doubt a new and unique force in the world of music and guitar performance. Janet is the brainchild of The String Revolution. She was named one of the “Top ten female guitarists” by Guitar World Magazine. She has also been enjoying her career as a solo artist releasing CDs and touring internationally. Daniel has amazing acoustic guitar abilities and skills on the slide guitar, dobro and mandolin. He is an acclaimed music composer and musician who tours frequently in Europe. Art brings a unique, musical guitar perspective to the project, including singing, experimental rhythms, different tunings and original songs. Markus proves his classical training as well his fluency in many other styles of music. He brings inventive fingerstyle, impeccable technique, and arrangement talent to the project.